Central Roles of Mg2+ and MgATP2- in the Regulation of Protein Synthesis and Cell Proliferation: Significance for Neoplastic Transformation; Presence and Influence of Human Papillomaviruses (HPV) in Tonsillar Cancer; T-Cell Transformation and Oncogenesis by ã2-Herpesviruses; Chaperoning Antigen Presentation by MHC Class II Molecules and Their Role in Oncogenesis; Soluble Mediators of Inflammation During Tumor Development; Classical and Non-Classical HLA Class I Antigen and NK Cell Activating Ligand Changes in Malignant Cells: Current Challenges and Future Directions. The Advances in Cancer Research series provides invaluable information on the exciting and fast-moving field of cancer research. 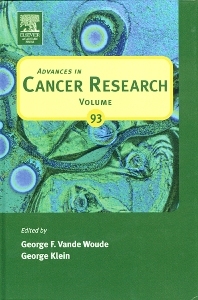 This volume presents outstanding and original reviews on a variety of topics including Central Roles of Mg2+ and MgATP2- in the Regulation of Protein Synthesis and Cell Proliferation: Significance for Neoplastic Transformation; Presence and Influence of Human Papillomaviruses (HPV) in Tonsillar Cancer; T-Cell Transformation and Oncogenesis by ã2-Herpesviruses; Chaperoning Antigen Presentation by MHC Class II Molecules and Their Role in Oncogenesis; Soluble Mediators of Inflammation During Tumor Development; Classical and Non-Classical HLA Class I Antigen and NK Cell Activating Ligand Changes in Malignant Cells: Current Challenges and Future Directions.